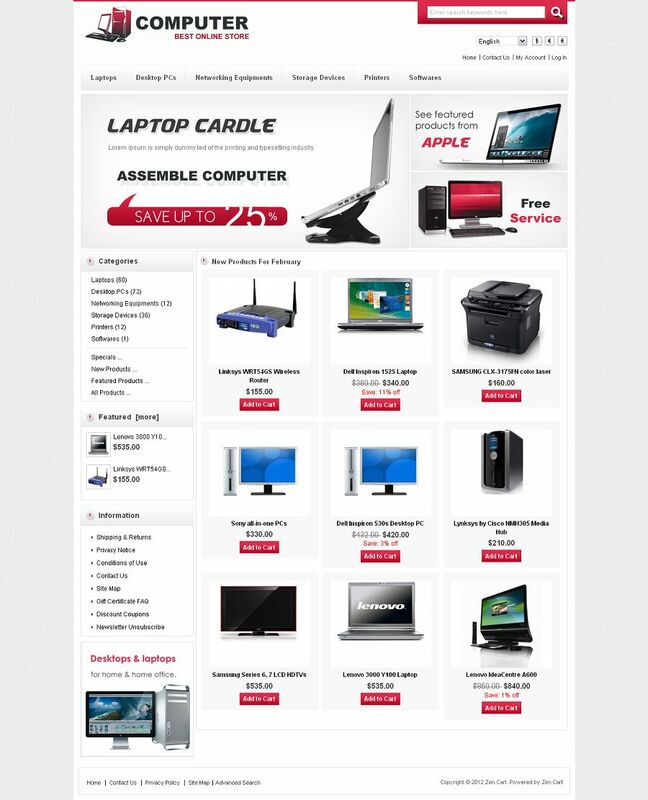 ZEN020035 ZenCart Template from TemplateMela is designed for computers, electronics as well as many kind of stores. It is looking good with red and grey colors. All sub pages are customized. It is very nice with its clean and professional look.